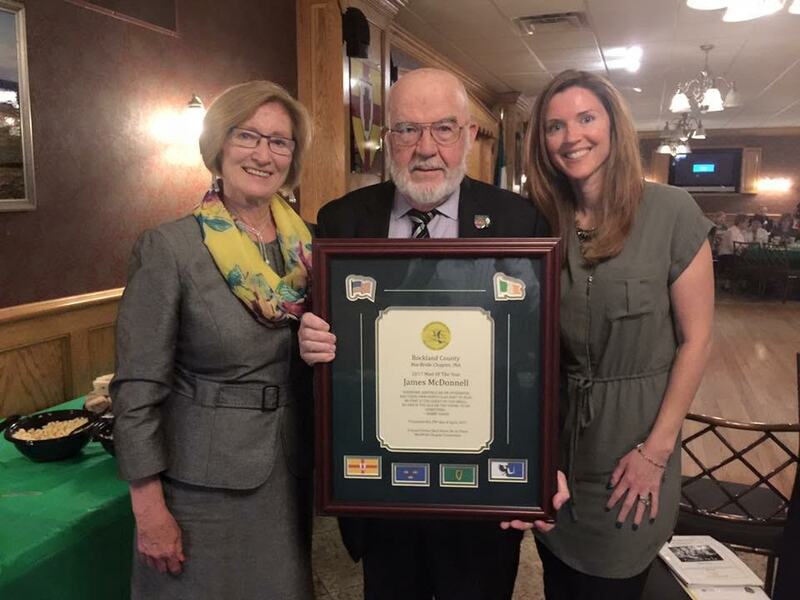 Jim McDonnell of Stony Point was the special honoree at this year’s Bobby Sands Mass and Dinner hosted by the Irish Northern Aid MacBride Chapter (Rockland County) on Saturday, April 29. It’s the 36th annual Bobby Sands event in Rockland County, held in commemoration of the famed 1981 Irish hunger strikers who stood in defiance of British rule in North Ireland. Sands was the most famous of the group, winning a seat in parliament during his nine week strike. Ultimately Sands and nine others succumbed to starvation before the strike was called off. The Bobby Sands event started at 6 p.m. with a mass and procession lead by crosses being carried in showing each of the hunger strikers names. Following dinner Tom McCorry and Kevin Quinn gave an account of the 10 hunger strikers who perished. Dinner was catered by Luigi O’Grady’s and music was provided by Tommy Schutz and Jan Lynch.